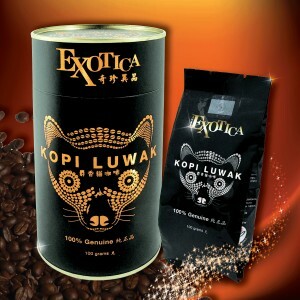 On flight to Indonesia, Henrietta noticed an advertisement of kopi luwak in the magazine. It wasn’t unexpected as Indonesia is its place of origin. 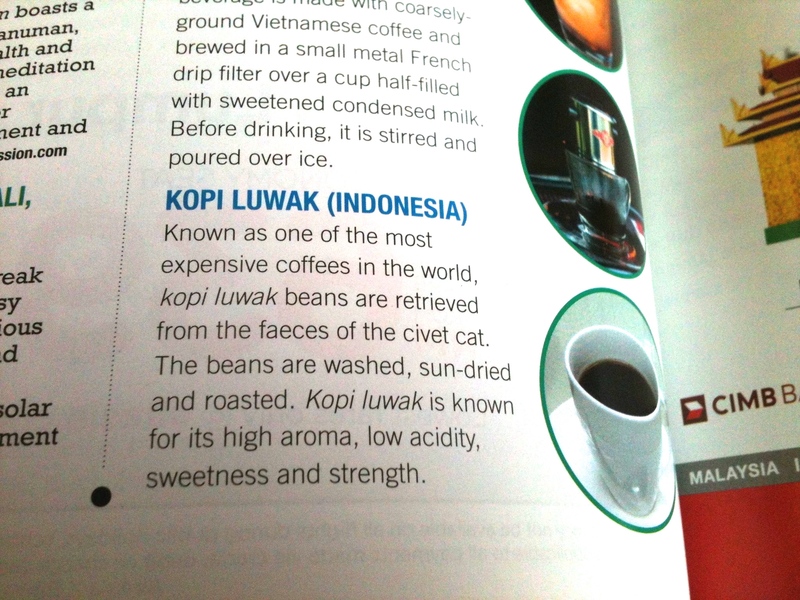 A kopi luwak ad in AirAsia magazine. Photo by Henrietta Woo. 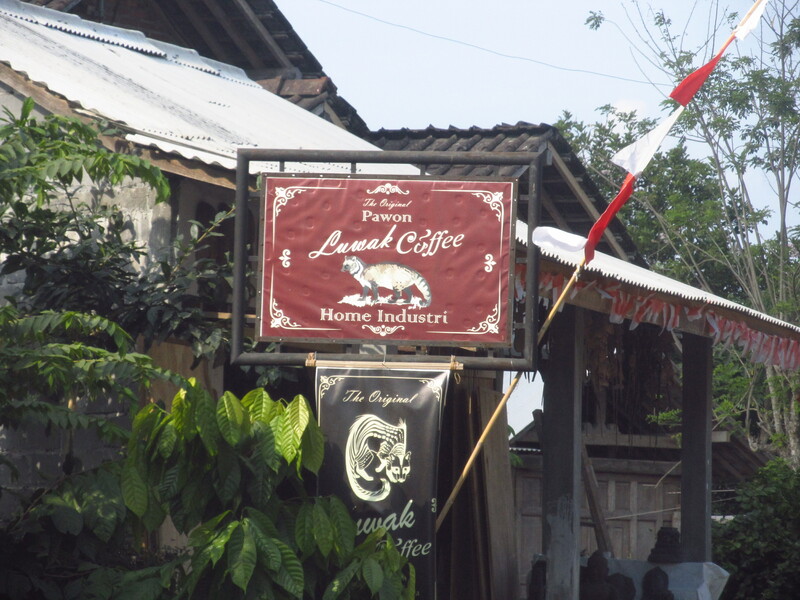 Sale of kopi luwak at a store in Borobudur, Magelang. Photo by Henrietta Woo. 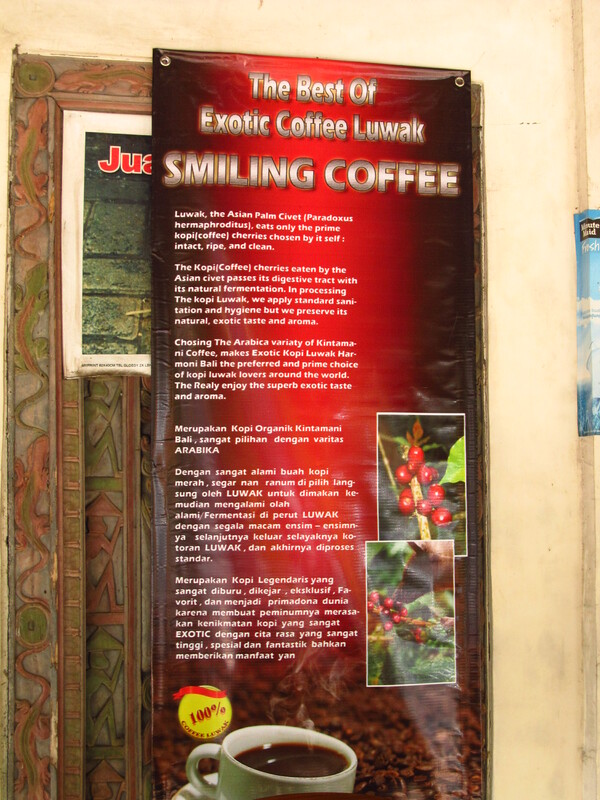 Bali has numerous coffee plantations and agro-tourism centred around them are heavily marketed with a seemingly high take-up rate among tourists. 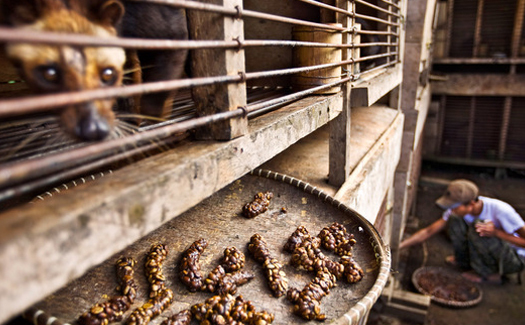 Read about the Pearlynn’s recount at a kopi luwak farm in Bali early last year here. 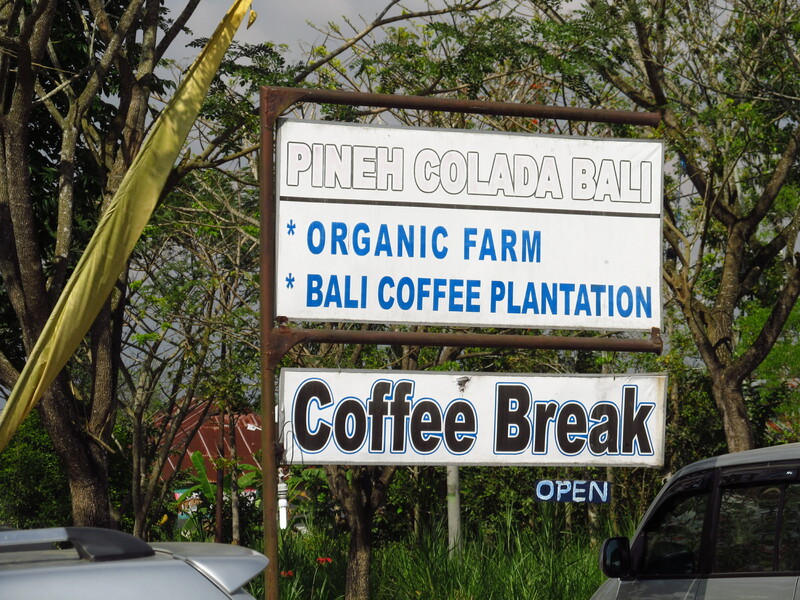 Entering a coffee plantation in Bali. Photo by Henrietta Woo. What first struck me was the obvious lack of vegetation cover for the civet to hide and lack of branches for the civet to climb or sleep on.The floor was concrete, bare and covered with what appears to be algae. Nearby, a civet was spotted exposed and resting on sparse vegetation cover, with sunlight shining directly onto it. 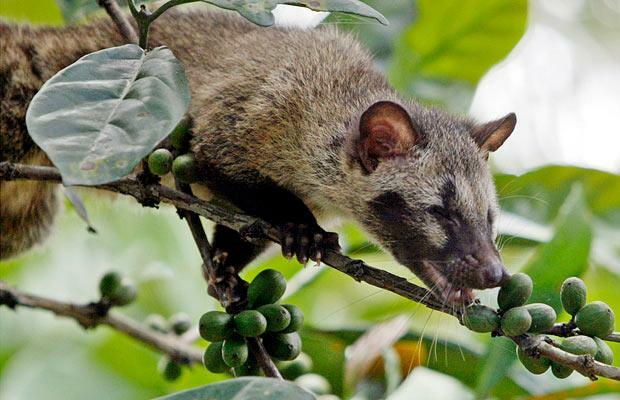 Civets are nocturnal animals and in a natural setting, they would seek out a sheltered place to rest. 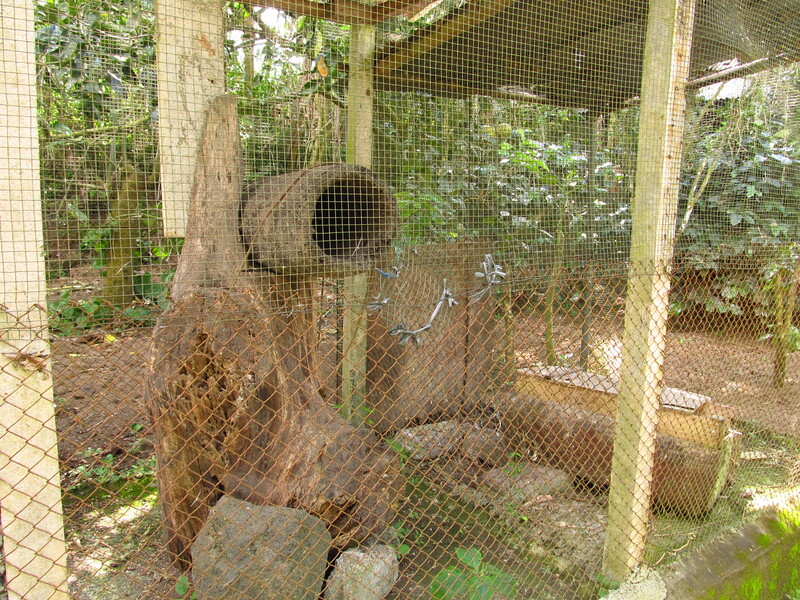 A typical cage for housing civets in the plantation. Photo by Henrietta Woo. 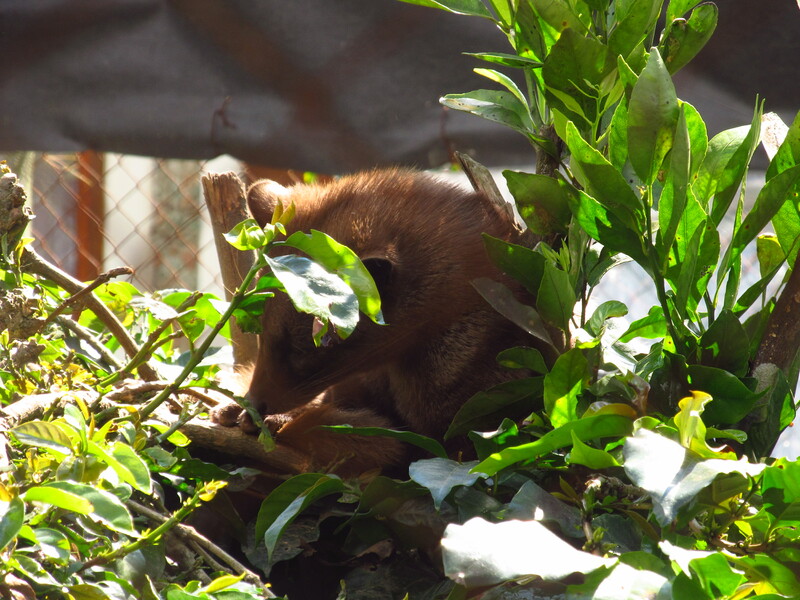 A snoozing civet. Photo by Henrietta Woo. Just one of the many sellers, the name ‘Smiling Coffee’ is pretty ironic. Poster in the store by Smiling Coffee. Photo by Henrietta Woo. 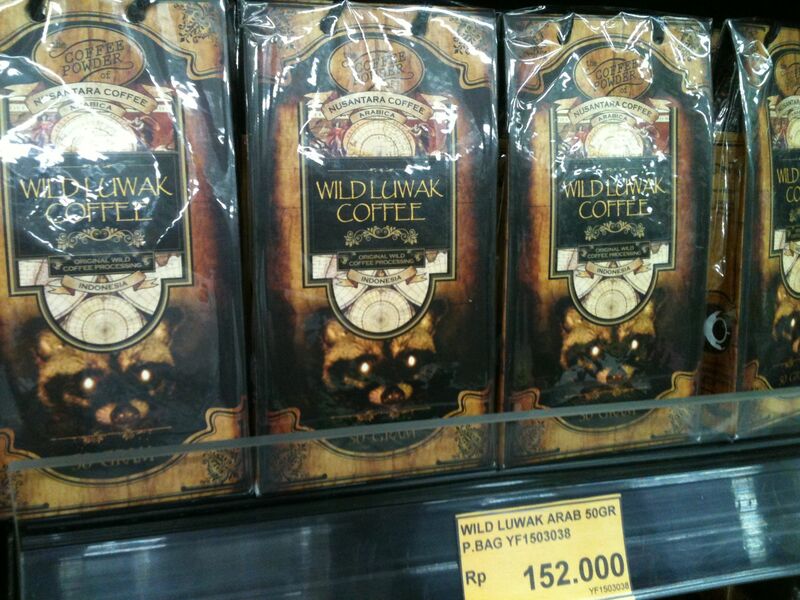 Sale of kopi luwak by Smiling Coffee. Photo by Henrietta Woo. 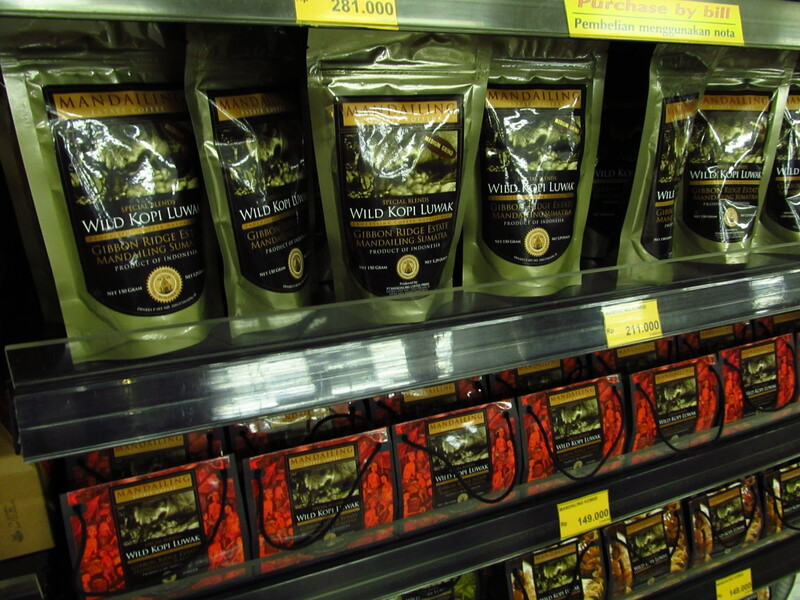 Kopi luwak is (unfortunately) widely sold in the big supermarket at Ubud and at the airport. 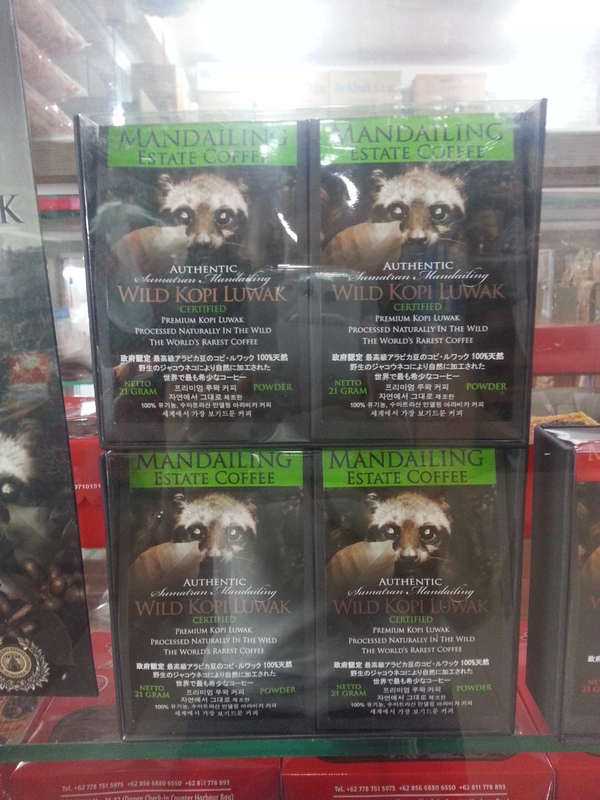 Also in Batam, kopi luwak was spotted in a provision store near the ferry terminal. 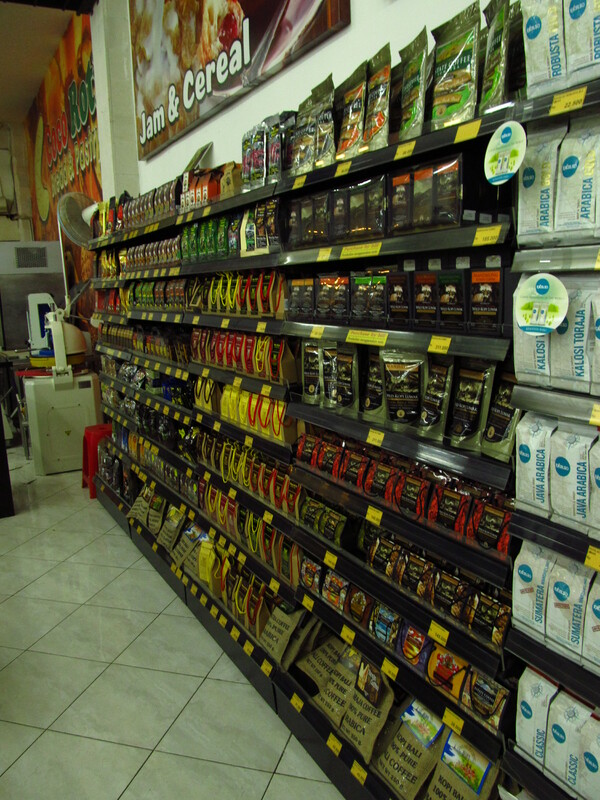 There are two brands on the shelf: Mandailing Estate Coffee and Gunawan Brother Indonesia. 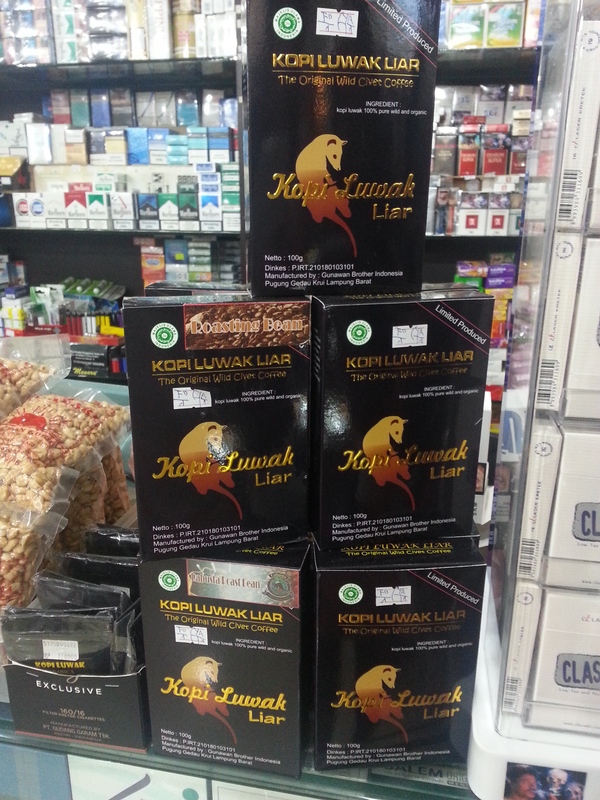 Kopi Luwak Liar. Photo by Joys Tan. 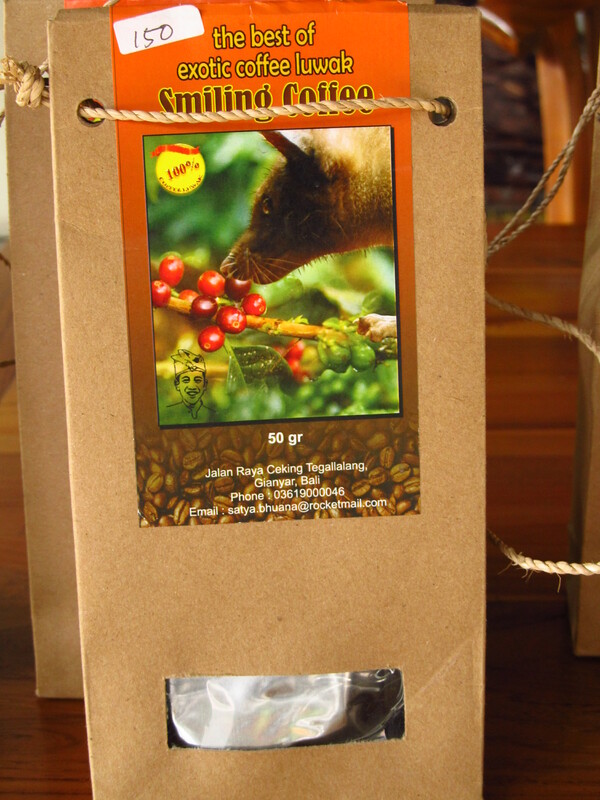 Mandailing Estate Coffee. Photo by Joys Tan. 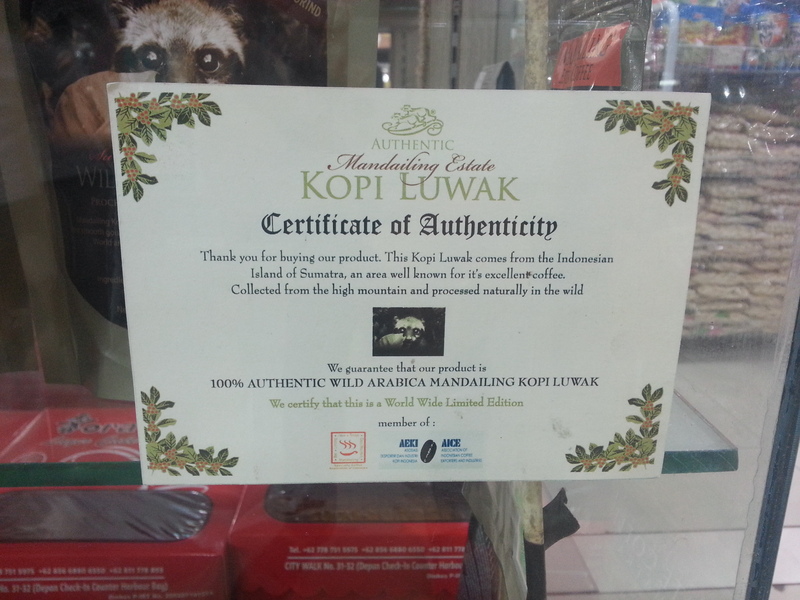 The certificate of authenticity does not guarantee that the kopi luwak is wild. Photo by Joys Tan. 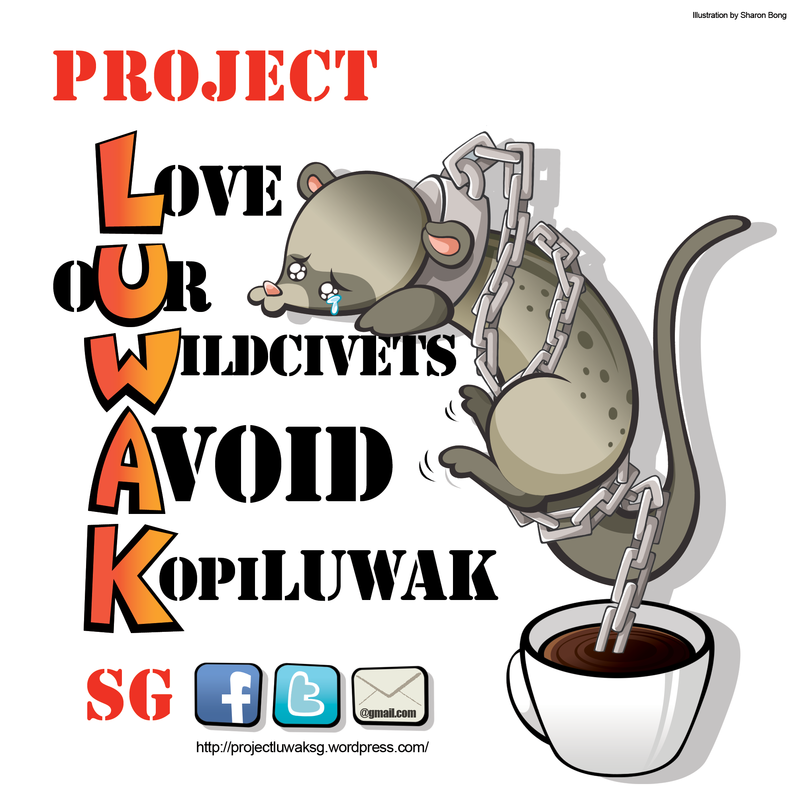 Until there is an independent certification body to identify ethically wild-sourced kopi luwak, not supporting its sale or trade anywhere can go a long way in reducing demand and thereby allowing civets to continue living in the wild. If this resonates with you, join us by pledging your support.